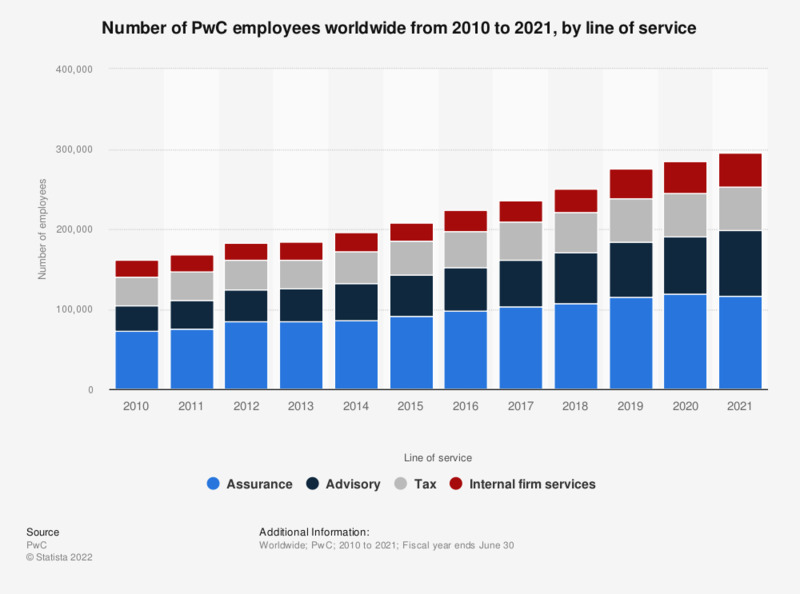 This statistic shows the number of PricewaterhouseCoopers employees worldwide from 2010 to 2018, by line of service. In the fiscal year of 2018, the company employed 107,691 people in the assurance line of service. Values up to 2015 were taken from previous editions. The source does not provide a date of publication. The date given is the date accessed.